Our trailers for jon boats and skiffs feature innovative frame designs that protect wiring and brake lines and provide a streamlined, custom look. 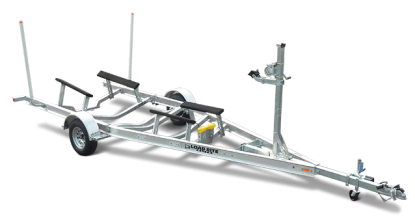 They incorporate numerous exclusive Load-Rite features and options to securely haul and launch a range of boats. Choose from heavy-duty galvanized steel frames with standard or welded construction or lightweight, high-strength aluminum designs.